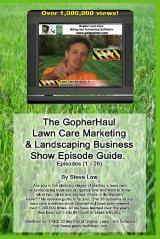 You may think it should be fairly easy to collect payment from your lawn care customers. You perform the work, bill the customer, and receive your payment. But what if that one customer represented a large percentage of your income? What if they had previously bounced checks before but had always made you whole in the end? What if you continued services for months while waiting to get paid? 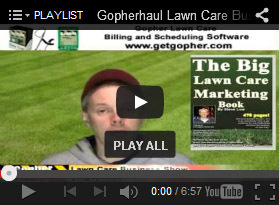 What you get is the perfect combination of a collection nightmare as we will see from this discussion on the Gopher Lawn care Business Forum. 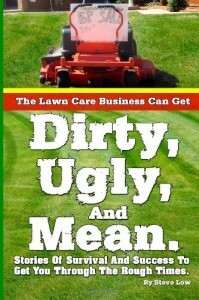 One lawn care business owner wrote “although it is not fair to the customers that pay on time or even ahead of time, I am thinking it is about time to add a small $1.50 fee or so to all my invoices to make up for the one or two people that screw me every year for unpaid work. It’s usually $500 a year. One year was $21,000. That was when I did work for an investment company, it’s a long story but I never got that money and there was nothing I could do. I was on a long list and I was at the bottom of people/companies owed millions. The thing about small claims is that once awarded, you still have to collect. I had another guy run into my trailer on the highway (the first day of work the next year after I got screwed out of $21k, so I was really hurting) I got his insurance info but turned out he didn’t even have the insurance… it was canceled a week before. I was awarded $10k in court but couldn’t collect because the private investigator from my lawyers firm didn’t get enough information from the guy. I was told to follow him and find out where he works and banks, but he lived too far away for me to mess with. I have brought small claims of $250, $240, $975 to court but of course all I did was pay first to have them served by certified mail then after that didn’t work, a sheriff which of course costs more and was unsuccessful. It has always been a waste of my time and loss of more money to bring them to court… it’s BS! 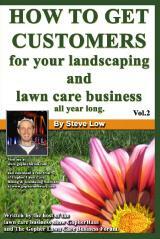 I started my lawn maintenance business 10 years ago with about 20 clients. 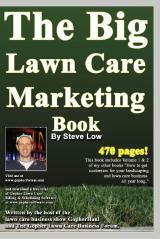 The next year I began mowing a lawn for a guy that worked for an investment company. 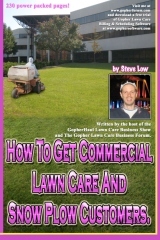 Eventually he asked me if I could mow the lawn at their office. 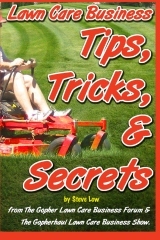 It was huge and I had to buy a new mower because at the time I only had push mowers. 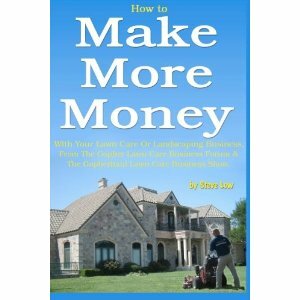 I would talk with him as I picked up my money and he would mention that company he worked for owned lots of properties. Eventually I asked if I could mow the lawns at these properties. It was amazing, I just started out in business and all I had to do was ask for the business and a week later, I had over 100 properties. The company continuously bought new properties. At one point the company wrote me a bad check. They told me to wait a few weeks and they would get me the money… I was paid in full. The next year they had around 250 properties that I maintained. I received 3 bad checks in August and same as the year before, they said to wait a bit and I will get paid. 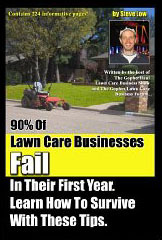 I continued to mow their lawns until the season was over in November. I called and called, I had no returned phone call. I went to their offices (they had a few by this time) and papers were scattered throughout the rooms. I found out they were indicted by the federal government for many fraudulent things. The guy that I initially got the job from was persuaded by his lawyer to not take any calls even from me. The grand total was around $21,000 owed to me for 3 months of hard labor. Before all of this happened I bought a house, new truck, and had other credit lines out at the time. Not getting this payment put me in debt for 4 years. I am finally out of the debt, however, I can’t purchase much with my credit. I couldn’t even buy a tv on credit a week ago, I had to purchase it out right. Although I have splurged a little the past few weeks, I have learned to be very conscious of my spending and I always have a certain amount of money saved at all times. I will never get into debt again, it was the worst thing that has ever happened to me. I am also very hesitant to expand until I have more than enough money saved up and have all of the equipment needed. I work alone and have everything I need and am quite content at the moment. I also try to not let a customer get more than a month behind on payments, but I have my secretary in charge of customer payments etc. and unfortunately one or two slip by every year for about 2 months. Sorry for the rambling it is a heated situation for me. 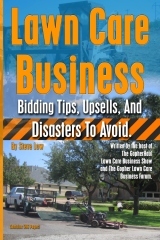 Luckily when that investment company failed, I had about 35 customers of my own on top of their properties, so I had something to fall back on the next year but drought hit that year so income was down drastically and I didn’t have money for advertising and I was out money from the accident on the highway which I never collected from. Also, I had some equipment stolen; about $1,500 worth which I had to replace. 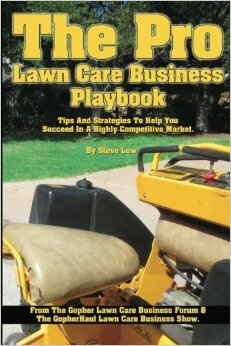 The following year I borrowed money from a family member and had door hangers made (which were a horrible idea and produced no income) I played on an indoor soccer team and we named the team Joe’s Lawn Care and I ended up getting a customer out of it and he told me he saw my door hanger at his house. So maybe it did help with branding if anything. I also put an ad in the yellow pages which took off more than I imagined. I ended up with 90+ customers that year that I handled on my own. The next year I weeded out the ones I didn’t want and ended up with about 70-80 customers then down to 65-70 to date. I will never rely on a large chunk of income from one person/company. I will always have a back up plan. It is not fair that the law is not really on our side when it comes to collecting. If someone steals something from the store, they get arrested, but if someone steals from a contractor… we are on our own to collect. The owner of the investment company is in jail for mail fraud I believe and I was on the list of about 20 others to prosecute him… but again, it will be up to me to collect and there is no way he will pay me when he owes millions. I now know, you should always have at least 6 months to a year of ‘emergency fund’ stashed away.I also have a back up plan. 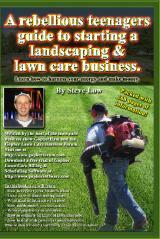 I will be ready to get new customers and add new services if something were to happen like a drought. 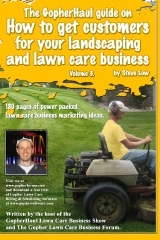 I have other services ready to be offered like garden maintenance, shrub trimming, and something that I haven’t done yet… building vegetable gardens. If I got hurt, I’m ready to have someone take over/help with the labor. I have a system of operations plan developed both labor and secretarial. If my truck breaks down, my friend is overseas and his truck is ready if I need it. If my equipment breaks down, I have equipment ready to back-up my main equipment. If software fails and data is lost, I have hard copies of everything. I have a back up plan for just about everything now. 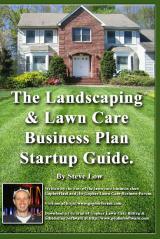 This entry was posted on Tuesday, August 20th, 2013 at 11:09 pm	and is filed under Business Failure, Business Plan, Commercial Customers, Debt, Debt Collection, Growth, Lawn Care Business, Lawn Care Customers, Operational Costs, Overhead Costs, Problem customers. You can follow any responses to this entry through the RSS 2.0 feed. You can leave a response, or trackback from your own site.